Established in 1990, Parter International, Inc. has for more than a quarter of a century provided strategic advisory services to corporations, government agencies, and non-profit organizations. We design and implement programs in the areas of US market entry, tourism strategic initiatives, investment attraction, trade promotion, marketing, communications, and philanthropy. We possess a wide range of capabilities for serving the needs of our global clients. For detailed information, please visit Expertise. 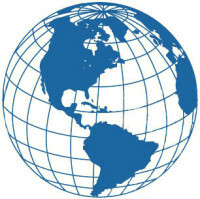 We are located in New York City, with team members and alliance partners worldwide. Our professionals have served as high-ranking government officials, senior business executives and entrepreneurs. Our moderate size and flexible structure enable us to provide every client with the expertise and commitment of senior staff while keeping our overhead low and controlling our costs. To read more about our professionals, please visit Team. The personal attention they receive from our team of experts custom-designed for each assignment. The strong relationships developed as a result of the accessibility and accountability of our personnel. The immediate response to inquiries and the speed with which assignments are completed. Our ability to quickly adapt to changing circumstances. For more detailed information about our competitive advantages, please visit Why Parter.